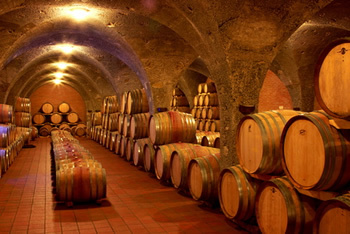 This day is designed for those who wish to enjoy a day in the wine region of CHANTI. 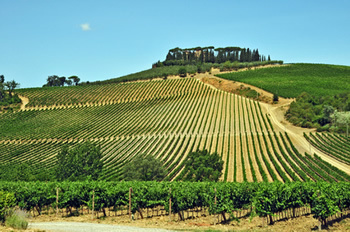 You will be greeted at your hotel and make your way into Italy's most sought after wine region; Chianti, proceeding through the beautiful countryside, what they call the "Wine Road", between vineyards and olive trees. We'll reach Greve in Chianti, the small village, named after the nearby river for the first stop, the market town of Chianti Classico which is the most local wine in this region, In Greve there is also a wine celling shop called "Le Cantine" where you will be able to taste more than 100 different wines, olive oils, vin santo and grappa, all produced in the Chianti area.It's really a showcase for the Tuscany region's wines and products. From here we drive the famous wine route Castello Verrazzano, one of the oldest family run winery, with a magnificient view of the rolling hills of Tuscany. From here you will continue on the road to Radda in Chianti for more wine and olive oil tasting before heading back to your hotel. Duration of this daytrip: 12 hours. Guided visit of the Castle (in English) + Wine tasting = about 18.00 € (euro) per person.